& build a thriving “people-focused” dental organization. This will be a peer-to-peer learning environment — come ready to share your best practices! USA Today put it on their list of the 12 best business books of all time. David was commander of a US nuclear submarine, assigned on short notice. Forced to lead differently, he took the crew from worst to first in one year. His new leadership approach ("intent-based leadership") quickly created thinking, engaged leaders at every level of the organization. David shares his personal story and teaches the simple principles that drive that change in any organization. Dr. Stephen R. Covey rode the USS Santa Fe and said it was “the most empowering organization he’d ever seen” and wrote about the USS Santa Fe leadership practices in his book, The 8th Habit. Two dentists born and raised in Chicago (who just so happen to be brothers) created DecisionOne Dental Partners. They began with their own practices and added their first outside acquisition in 2011. DecisionOne Dental currently has 19 locations with an aggressive growth plan in place. Dr. Acierno has demonstrated leadership in the Emerging Market group practices space, while continuing to grow his own 20+ location DSO. Dr. Acierno is also a DEO Faculty Member, sharing the mission of ensuring the up and coming group practices continue to represent the core values that make this industry great. Charles Ryan Minton is a Customer Service & Employee Experience Expert, Keynote Speaker, Best Selling Author and the President of CRM Hospitality & Consulting, LLC. He has represented high profile brands such as Hilton Hotels Worldwide, Marriott International, InterContinental Hotels Group, Gannett, Ultimate Jet Charters and the Cincinnati Reds. As a former Hotel General Manager, Ryan's ability to assemble dynamic teams, to create environments where employees feel valued and empowered and his capacity to identify inefficiencies led to record breaking revenues, profits and some of the highest recognition in hospitality. 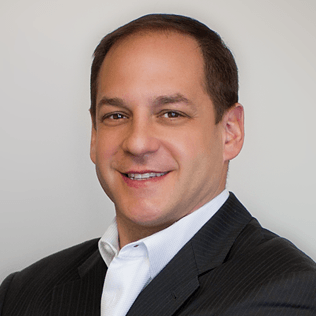 Brent Simon started out in the industry consulting for his dad's 40-year successful dental practice in Connecticut to take it to the next level. While working together, he realized that his dad's team spent more time on administrative tasks than they did caring for patients. Through correcting that, Practice Accelerator Services was launched with the mission of helping independent dental practices experience all the lifestyle, cost and support benefits of a corporate dental practice with a professionally staffed back office. Cheryl has a unique background of leadership experiences at several Fortune 500 companies. Her areas of expertise include operational best practices, learning & development, leadership development, change management, and the ability to create cultural shifts in the workplace. She is a certified trainer, facilitator, and an ICF accredited coach. Cheryl managed her own executive coaching and consulting practice and held corporate positions at Bellsouth Publishing, Allstate Financial, and Humana. At Mortenson she leads the Practice Excellence team, which consists of both Operations and Learning & Development. Cheryl is passionate around the development of people and the goal of operational excellence, resulting in outstanding patient care. She wants to ensure that everyone has the opportunity to reach their full potential regardless of role or title. Everyone leads from where they are! A panel of HR Directors from dental groups with 40-100 employees will share their perspectives on building successful teams inside a growing dental organization. They will discuss what they've learned about managing employees, building a culture, best practices, and advice for other dental groups. Also, learn about their day-to-day activities and job responsibilities. Learn about best practices from around the DEO! DEO Members and Faculty will share how they handle all things HR in peer-led roundtable breakout sessions. With a full range of thoughtfully curated amenities, boutique design touches at every turn, and tech-minded features throughout the hotel, Cambria Nashville Downtown is designed for the modern traveler. After a productive day of work, sightseeing, or shopping, head up to the fifth floor, grab a craft cocktail and small plate at our poolside bar, and kick back with some live music as you get ready to honky-tonk the night away. At the end of the evening, retire to your upscale — but never uptight — Nashville-inspired accommodations, wake up recharged, and get ready for another epic day in Music City, USA!